No one can argue the long term durability of Ceramic tile. It is not for everybody, especially those that like to lounge around on the floor and watch television. But for those who are looking for a nearly final flooring solution, ceramic tile is the perfect choice. At Morency Floors we carry the largest selection of imported and domestic tiles, and because of our volume buying power, our prices simply can’t be beat. And if you want to step outside of the standard tiled floor, Morency Floors tile installers are renowned for making a ceramic tile floor look more like a piece of artwork than something that’s meant to walk on. Whether you’re looking for a durable solution or a floor that makes a profound and beautiful statement, Morency Floors has the right ceramic tile floor for you. Affordability Thanks to the recent advancements in technology, ceramic tile is no longer affordable to just the “Rich and Famous”. 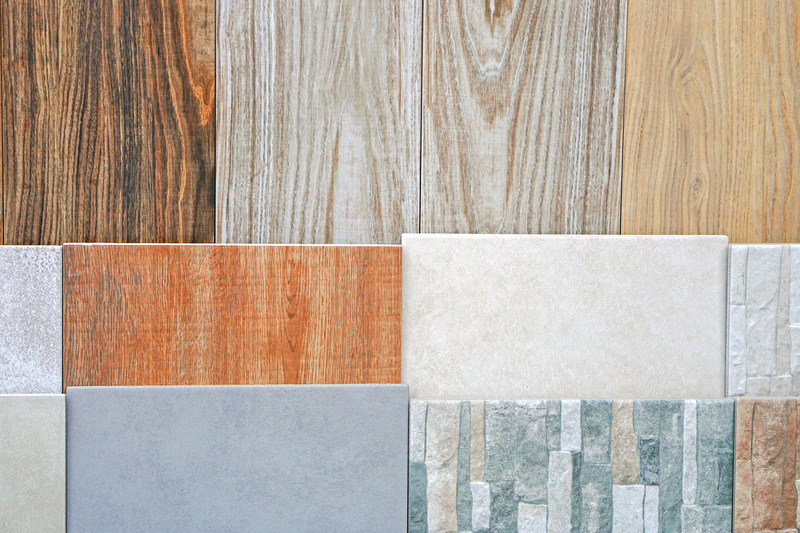 Today, ceramics are in the same price range as other better quality floor coverings. Investment Because ceramic tile is considered a permanent product, the Real Estate Appraisal Guide lists it as a product that increases the resale value of your home; therefore, it is an investment, rather than a cost. Cost Ceramic tile is less expensive than most alternative products. While the initial cost may be higher than some, in the long run it is less expensive because it does not have to be replaced every few years. Durability Some building products are beautiful but not durable. Others are durable, but they lack beauty. Ceramic Tile is the ultimate product, combining both beauty and durability. Stain Resistance Ceramic Tile is the most stain resistant building product there is. In fact, most glazed tiles are stain proof. Color Permanence Ceramic tile is one of the only decorative building products that will not fade or discolor with sunlight. Dirt Resistance Ceramic tile is the easiest of all decorative building products to maintain. Soil remains on the surface for easy cleaning. Hygiene Ceramic Tile is the cleanest of all building products. Its surface will not retain liquids or absorb odors.